If you are what you eat, then why not be super and start incorporating superfoods into your diet? Superfoods are food that are nutrient rich and beneficial to your health and well-being. Although “superfood” is mostly regarded to be a marketing term by dieticians, consuming food that are high in nutrients is still a good idea. 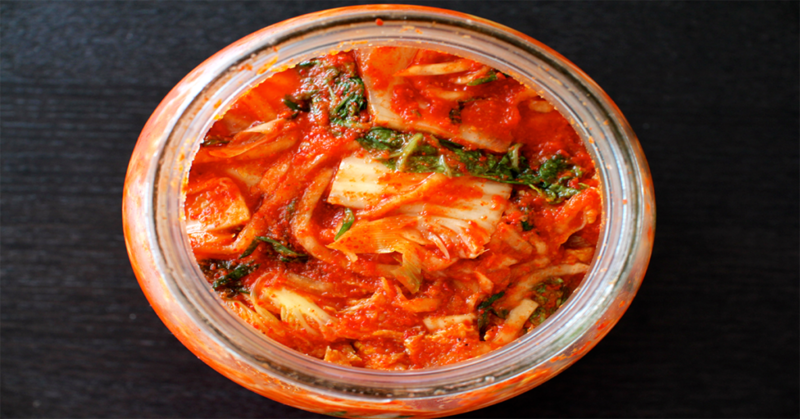 Kimchi is a traditional fermented probiotic food, and it is usually spicy and pickled with vegetables such as cabbage, red peppers, onions, scallions, garlic, and salt. It is one of the most popular Korean dishes, and also one of the staple food in the Korean cuisine. Not only are kimchis packed with vitamins A, B, and C, it also contains “healthy bacteria” that helps in digestion. It prevents constipation and yeast infection. Research also says that fermented cabbage has properties that may prevent the growth of cancer. You should be able to find it in most, if not all, Korean provision shops in Singapore. You can also find kimchis at Cold Storage and NTUC. We are not referring to the bar located by the Singapore River. Brussels sprout is a member of the Gemmifera Group of cabbages, grown for its edible buds. 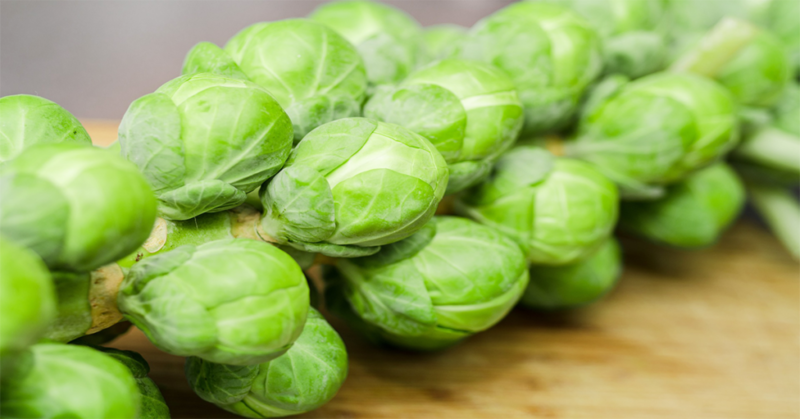 Though it might be one of the most-hated vegetables for its smell, and may also taste bitter to some taste buds, brussels sprout is full of nutrients such as Vitamin B, Vitamin C, Vitamin K and Potassium. Its antioxidant properties can also help in protecting against cancer. Brussels sprout can usually be found in premium supermarkets such as Cold Storage, Market Place by Jasons, and NTUC finest. Turmeric is a spice that gives curry its yellow colour. It is a spice that is used in India as a spice and medicinal herb for years. Even though it is a spice, turmeric has many potential health benefits. 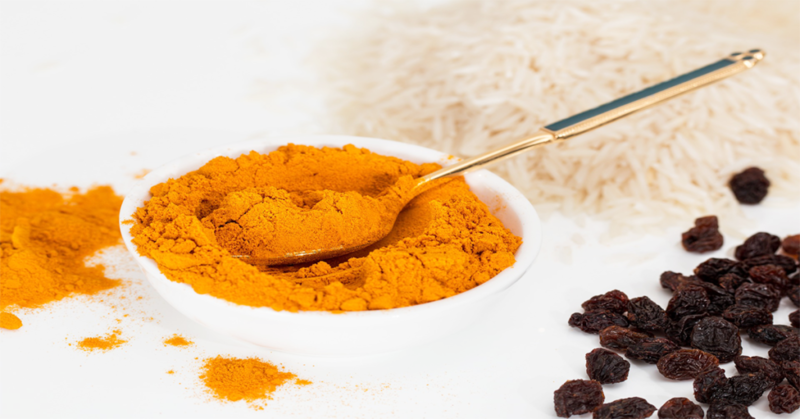 Curcumin, the main active ingredient in turmeric, has benefits that include fighting against anti-inflammatory disorders, irritable bowel syndrome, eye and skin conditions, and certain types of cancer. Supermarkets like NTUC and Cold Storage will usually have this in stock. Otherwise, your local Indian “mama shop” should also have it. Prunes, also known as dried plums, are high in antioxidants and contain nutrients that can help fight against cancer, prevents cardiovascular diseases, and maintain blood sugar level. Each prune (approx 9.5 g) offers about 23 kcal and 0.7 g of fibre. 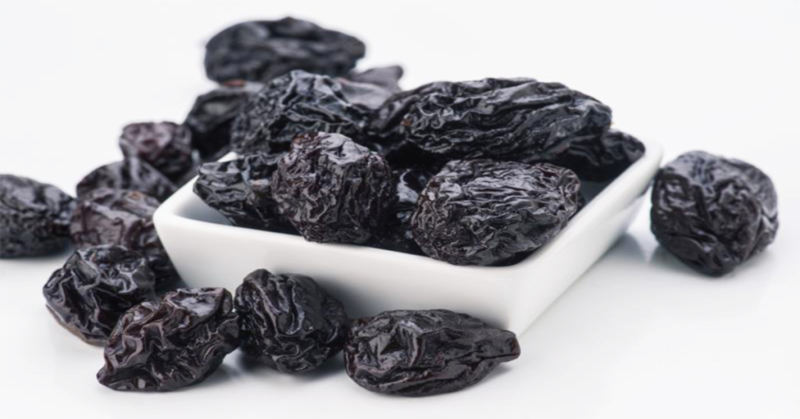 Just one cup of prunes provides 87% of the recommended daily intake of vitamin K, 8% of calcium and 27% of potassium. However, prunes are high in natural sugar, so too many may not be good for people watching their weight. Since prunes are loaded with fibre and boost energy, they also serve as a very good pre-workout snack. 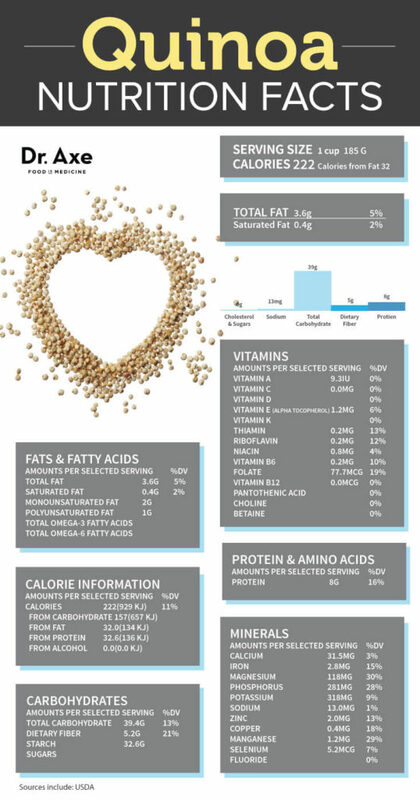 Chia seeds are rich in nutrients. They contain Omega-3 fatty acids which have anti-inflammatory properties, calcium for the bones, and fibre to aid in digestion. 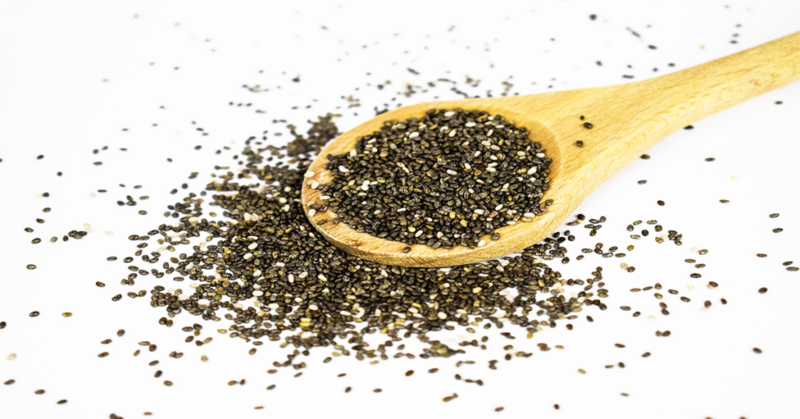 If you are also someone who does not take fish and wants some Omega-3 in your diet, you can try taking chia seeds. Chia seeds taste great. You can even add them to your flavoured water to enjoy the benefits of chia seeds. You can find Chia seeds in most supermarkets or stores that sell organic foods. 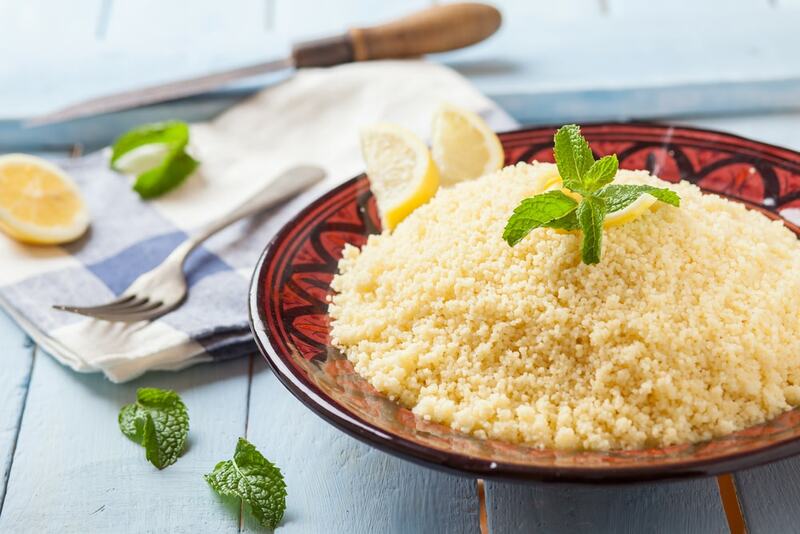 Couscous is a North African Berber dish of small steamed balls of semolina. 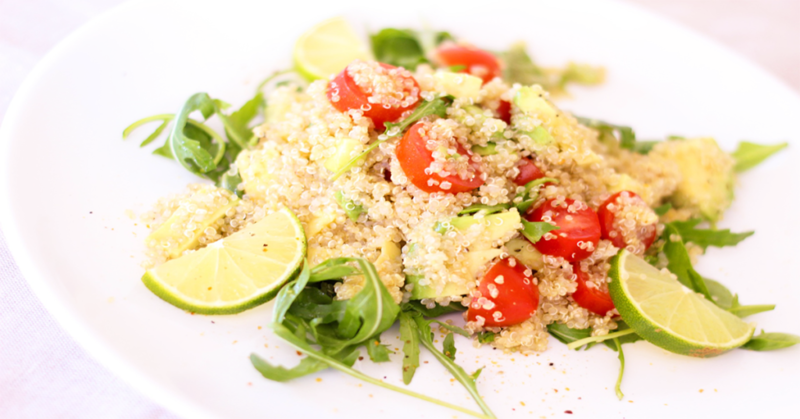 A great source of fibre and iron, couscous is good for digestion and perfect for people who suffers from iron deficiency. 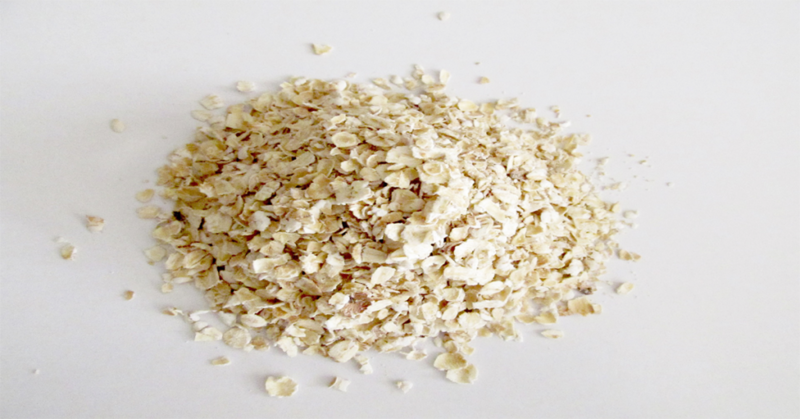 Oats are grains and are whole foods. They are good for your heart as they contain a bio-active, antioxidant compound that cleans arteries, prevents fatty buildup, and reduces the risk of heart diseases and cancer. Packed with fibre, oats help in supporting the digestive system, and a strong digestive system helps to strengthen your immune system. Yes, garlic, and we are not talking about just any garlic. It has to be black garlic. First developed in Korea, aged black garlic is produced by “fermenting” through the ageing of whole bulbs of fresh garlic in a humidity-controlled environment. Aged black garlic fermentation is accomplished naturally by enzymatic reaction, which gives it higher concentrations of antioxidants and reduces the odour associated with raw garlic. This process creates garlic that is black in colour, softer in texture and has a more mild taste with a sweet, umami flavour. 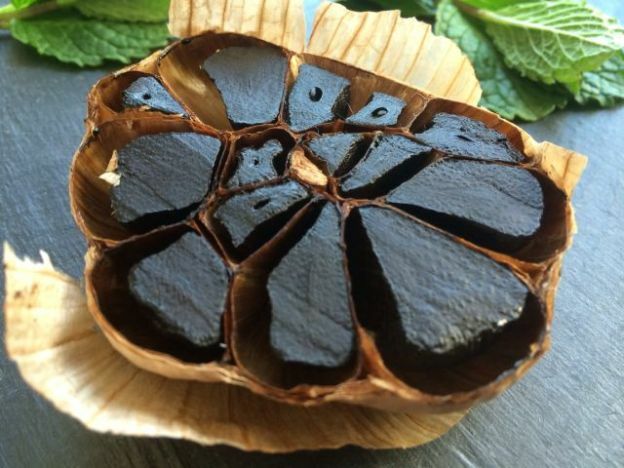 Black garlic not only helps to treat type 2 diabetes, it also improves our good cholesterol levels, wards off common skin and nasal allergies, and helps the liver heal from alcohol damage. Get a few of these black garlics for your alcoholic friends, pronto! Vitamin E: 45% of the RDA. Vitamin B3 (Niacin): 67% of the RDA. Vitamin B6: 27% of the RDA. Folate: 18% of the RDA. Magnesium: 39% of the RDA. Copper: 24% of the RDA. Manganese: 73% of the RDA. 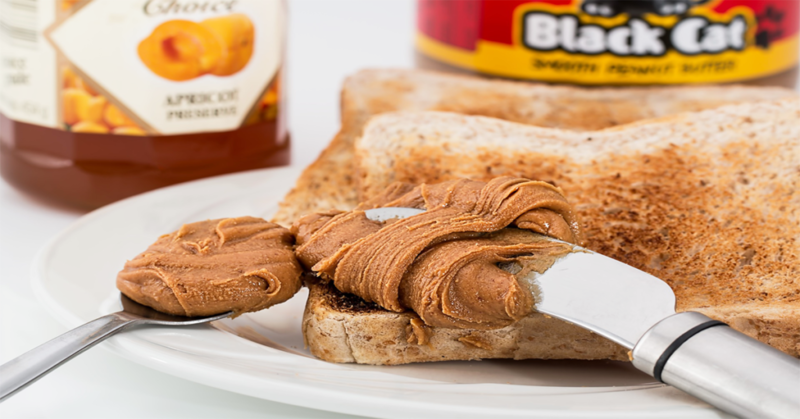 There is also a decent amount of Vitamin B5, Iron, Potassium, Zinc and Selenium in peanut butter. However, be aware that this is for a 100-gram portion, which has a total of 588 calories.